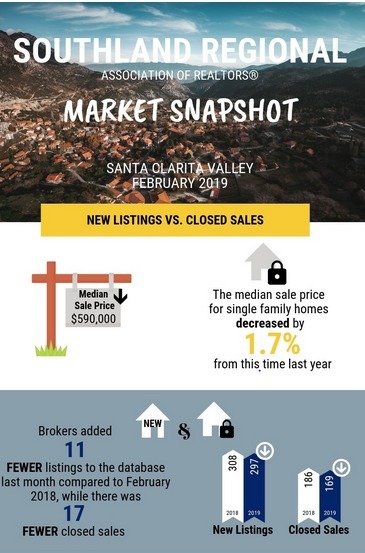 The Santa Clarita Valley is in the process of slowly moving from a seller’s market to a buyer’s. Unaffordability has driven down demand and sales fell as a result. Combined sales fell by 1.1 percent, while the dollar volume was off by nearly 6 percent from 2017. In addition, supplies rose steadily, reducing upward pressure on prices causing sales to fall mostly in the higher home price range. As demand slowed, inventories for homes for sale rose during the year. Supplies also rose as a result of sellers acting before prices peaked. In southern California, unaffordability motivated 28 percent of homeowners to move out of their county, softening demand further. In 2018, the average monthly active listing count totaled 544 properties, up 18.5 percent from 2017. In December alone, new listings increased nearly 64 percent over 2018 and represented a mere 2.6-month supply at the current pace of sales. Unlike most Southern California communities, annualized prices for single family homes in Santa Clarita Valley have not yet surpassed the record high set in 2006. However, in 2018 condominium prices for the year reached the annual median price of $389,575, which was up 8.5 percent over 2017 and a new record. For California as a whole, the California Association of Realtors forecasts a difficult year for both buyers and sellers in 2019. Home sales are expected to decline by 33 percent. Reaching their lowest point in four years as demand continues to soften. After appreciating 7 percent in 2018, prices will continue to rise, but at a more moderate rate of 3.1 percent, still not enough to increase affordability. In the first two months of 2018, January sales were down 30 percent from January 2018 and 7 percent from December, close to the record lows of 99 home sales and 31 condo sales. Both records were set in January 2008. Prices in January are continuing to moderate, falling to a median price $587,000 up 2.1 percent from January 2018, but down 2.2 percent from December. 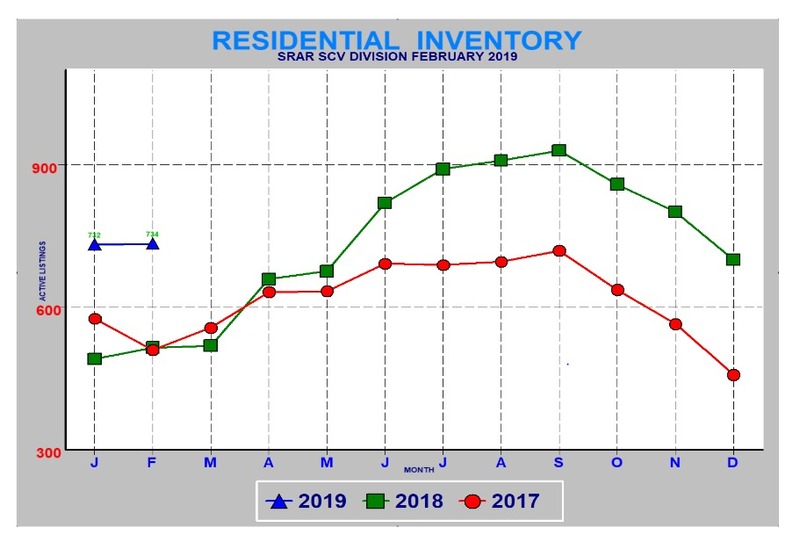 The brightest news in the early months of 2019 is the increase in inventory. Santa Clarita Valley’s months’ supply reached 3.6 months in January, the highest since February 2012. A 4.0 months supply is considered ideal. 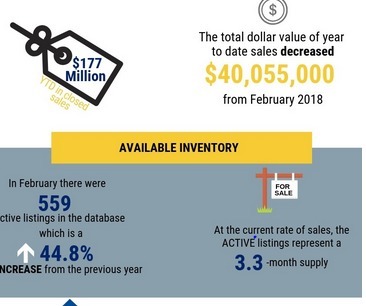 Active listings at the end of January were up 58.5 percent from a year ago, representing the eighth consecutive month-to-month increase. Does the Slowing National Real Estate Market Impact Your Home’s Value? Has Tech Money Made San Francisco Unaffordable for the Rest of Us?